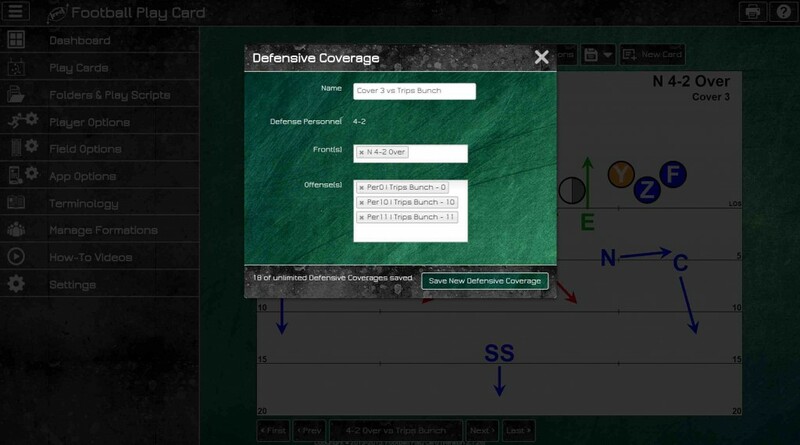 If you create play cards with an offense, front, or coverage that is not included in the system delivered 36 offenses, 26 fronts, and 12 coverages, save it as a custom offense, front, or coverage to save time when creating play cards. Then, the next time you create a play card, you can quickly select the custom offense, front, or coverage instead of moving the players each time the card is created. Enter the name of the custom Offense. Select the offensive personnel grouping where the custom offense will be saved. 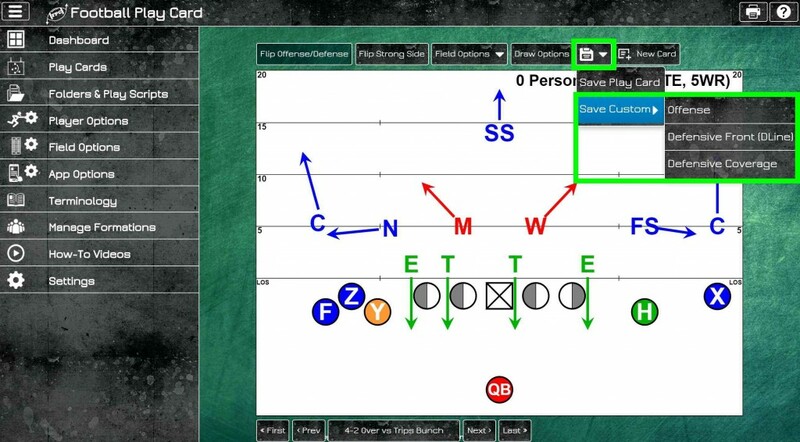 Select a similar looking offense so the app can apply defensive fronts and coverages to the new custom formation. Enter the name of the custom Front. The defensive personnel is automatically set to the personnel of the current play card. The available front types are determined by the defensive personnel. Select the offense or offenses that you would like the custom front to be available for. The available offenses are determined by the defensive personnel and the selected front type. Enter the name of the custom Coverage. Select the front type or types that you would like the custom coverage to be available for. Select the offense or offenses that you would like the custom coverage to be available for. The available offenses are determined by the defensive personnel and the selected front type(s). 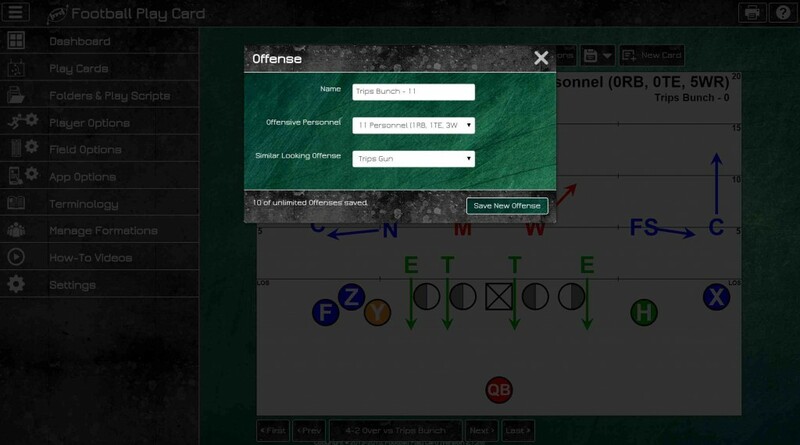 Log in now to create play cards faster by saving and reusing custom offenses, fronts, and coverages and to check out all of the latest functionality enhancements. This entry was posted in Quick Tips and tagged Coverage, custom, defense, Draw Play Cards, Football Play Card, Front, offense. Bookmark the permalink.